Nissan just seem to be going from strength to strength at the moment, with record growth at their Sunderland plant and the popularity of cars like the Nissan Juke and Nissan Qashqai. 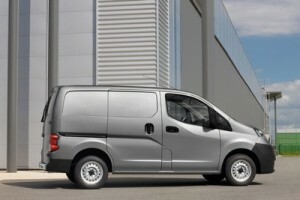 Now, Nissan have announced the exceptional growth their light commercial vehicles sector saw in the UK in 2011. During 2011, registrations of Nissan LCV’s to purchase, lease or finance grew by an astonishing 174%, making them the UK’s top performing LCV manufacturer. In real world sales, Nissan’s runaway success during 2011 translates to registering 10,854 LCVs for finance, lease or purchase during the year, compared to 6,223 sales in 2010. This means that Nissan have seen their market share almost double, from 2.8% in 2010 to 4.8% in 2011. Nissan’s top three models, all saw triple digit sales growth during 2011. The Nissan Primastar saw a 201% increase in units released for purchase, finance or lease; the Nissan NV200 a 191% increase; and the Nissan Navara also a 191% increase. The largest percentage of Nissan light commercial vehicles registered for purchase, finance or lease was to the retail sector, including small business. Here Nissan’s market share increased to 6.1%, with a 203% surge in the number of vehicles sold. Another strong performer was the fleet sector, with sales growing by 158%, bringing Nissan to a 3.5% share of that sector. January 2012 saw Nissan’s LCV section building on their 2011 success. 722 vehicles were registered for finance, purchase or lease, which translates to a 5% market share. Last January Nissan took 4.1% of the market. The sales and marketing director for Nissan’s UK LCV section, Francis Bleasdale, believes their outstanding performance has many factors. This includes extremely competitive finance deals available for Nissan vans and a renewed interest in the Nissan range by fleet owners. Bleasdale also believes that the NV400 range, only launched at the end of 2011, will continue to grow in popularity throughout 2012. If you’re looking to purchase or lease a new Nissan contact our sales team. Alternatively, visit our website where you will find new and used Nissan’s available for sale or on finance.